The late, great Beano Cook once proclaimed that the University of Miami&apos;s football program was "the greatest dynasty since Caesar." The Miami Hurricanes won four national titles from 1983 to 1991. If Alabama is showered in confetti this January, that will be four national titles in five years for the Tide, whose vicious and methodical conquest already ranks among the greatest college football has ever seen. It&apos;s not just about Alabama, though. Here are some things to look out for in the Southeastern Conference as the season gets underway. The last time a program reeled off three straight national titles? University of Minnesota, during a magical run from &apos;34 to &apos;36. It should be noted that the Golden Gophers only played eight games per season, did not participate in bowl games, and split the &apos;35 title with four other teams. If Alabama were to hoist the crystal football in Pasadena they&apos;d be the only consensus three-time winner and the first team, college or pro, to win four championships in five seasons. Johnny Football is larger than the game right now. He elevated Texas A&M, the little brother of Texas football, to unseen heights, became the first freshman to win the Heisman Trophy, all while broadcasting the good life to anyone with an Internet connection. If he stiff-arms the recent allegations that he was paid to sign autographs, he&apos;ll duck under the outstretched arms of the NCAA and take off, full speed, towards a 2013 encore. Is it the SEC or the SEC West that should be garnering all the attention? Since 2003 the SEC has won eight BCS national championships, with six of those teams coming out of the Western division. This year Florida, Georgia, and South Carolina all begin the season in the AP Top 10, but can any of them break through and win in Atlanta and Pasadena? Georgia came within five yards of an SEC title and a berth in the BCS championship game last season. The Dawgs return 10 starters on offense, including three preseason first-team All-SEC honorees (Aaron Murray, Todd Gurley, Arthur Lynch). Clemson&apos;s Tajh Boyd returns for his senior season to lead one of the country&apos;s most dynamic attacks. The Tigers are familiar with SEC football, having played five SEC contests in the last two years. Both programs enter the game ranked in the top 10, and whoever survives in Death Valley will have to be considered a legitimate threat to Alabama&apos;s three-peat. If Johnny Manziel starts the game for the Aggies, this contest will be universally recognized as the game of the year. The Aggies handed Alabama their lone loss last year and Nick Saban and his staff haven&apos;t let a single player forget it. The Aggies are replacing the second overall pick in the NFL Draft, seven starters on defense, and have dealt with a media circus all off-season. But if they win this game they&apos;ll wake up the following Monday as the number-one ranked team in the country. The stakes couldn&apos;t be higher for either program. South Carolina will be looking to avenge its 44-11 loss last season at The Swamp. If they can pull off the W against the Old Ball Coach&apos;s former employer, the Gamecocks may find themselves in Atlanta the following month with a chance to play for the school&apos;s first national championship. Florida proved last season that its elite defense was enough to win and win big, but can they repeat the feat with just five returning starters? If not, they&apos;ll have to rely on a shaky offense piloted by the mercurial Jeff Driskel. LSU loses five games for the first time since 2008, piling up losses against TCU, Georgia, Ole Miss, Alabama, and Texas A&M. South Carolina falls short of the SEC title game, but they do upset Tajh Boyd and Clemson in the Palmetto Bowl, thereby knocking the Tigers out of championship contention. Alabama steamrolls its opponents, setting up a memorable Iron Bowl showdown with Auburn. Gus Malzahn&apos;s boys enter the game at 5-6, needing one more win to achieve bowl eligibility. The game plays out as it did in 2009, with Alabama driving the field in the final minutes for the go-ahead touchdown. It&apos;s OK if you still equate the air raid with grainy WWII newsreels, and you don&apos;t need to know the difference between a bubble screen and sun screen. No football knowledge is required to appreciate the wildly entertaining play of Johnny Football. His backyard improvisational skills are awe-inspiring to all of us. 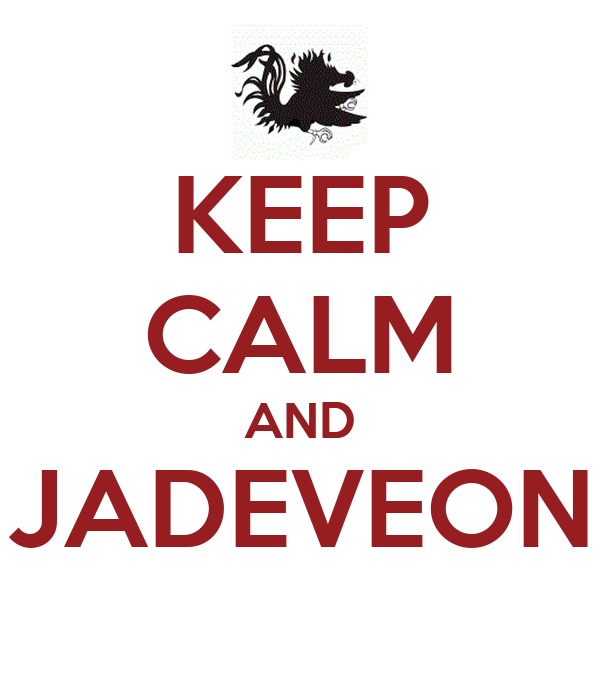 One WWII reference deserves another, "Keep Calm and Jadeveon." Fans of opposing teams shout out to their quarterbacks like high-schoolers in slasher films, "He&apos;s right behind you! Run!" In the old days you were either big and slow or small and fast, but it&apos;s 2013 and he&apos;s a hybrid. The 6&apos;6", 270-pound defensive end reportedly ran a 4.46-second 40-yard dash this year. If this were a video game against your friend, you&apos;d assume he snuck in some cheat codes while you weren&apos;t looking. Nick Saban, Alabama: So dedicated to professional perfection that he forgot his own birthday last year. Les Miles, LSU: Regularly eats stadium grass; is the male equivalent of a woo girl. Will Muschamp, Florida: The only thing scarier than Jadeveon Clowney is Muschamp&apos;s angry dad face. Best Offseason Fan Video: South Carolina&apos;s "Ride For My Team (Forever to Thee)"